The South African Council of Shopping Centres (SACSC) is pleased to announce the signing of formal agreements with The International Council of Shopping Centres (ICSC). The SACSC joins 17 national associations of retail real estate in creating such a partnership. The agreements will ensure the retail real estate industry is broadly recognised for the integral role it plays in the social, civic, and economies of communities across the globe. Within the European Union alone, the industry contributes 27 million jobs and nearly €2 trillion (approximately R 25 trillion) in tax revenue from retail sales. The collaboration that results from these agreements will create a more powerful voice for the industry, as well as a platform for members to share best practices more effectively. • Public Affairs and Outreach — a unified voice on behalf of the retail real estate industry to enhance perception and understanding of the importance and contribution of retail destinations to the vitality of the communities they serve. • Events, Research and Programmes — enhancing the quality of retail environments by sharing thought leadership, case studies and combining the collective insights of over 10,000 members across Europe. • Member Benefits — better support and engagement of members by focusing on organization co-operation and offering a clear value proposition. Amanda Stops Chief Executive Officer for the SACSC said that this partnership is a momentous achievement, “To be included in such a partnership is testament to the impact and the magnitude the South African Retail and Shopping Centre industry has.We have the sixth highest number of shopping centres in the world. The Retail and Shopping Centre Industry in SA employs many people in permanent and contractual jobs. This partnership will allow us to further enhance our industry and nurture it for future generations by sharing information and having insight into the global perspective,” she added. “It is a pleasure to see the national associations of retail real estate partner with ICSC. By working together, we are able to give the industry a stronger voice and enable national members access to global expertise as they evolve their own markets and create new opportunities.” Josip Kardun, ICSC European Chair. 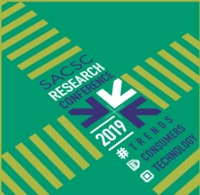 South African Council of Shopping Centres (SACSC) The South African Council of Shopping Centres (SACSC), is a non-profit (NPO) organisation focusing on enhancing the shopping centre and retail industry in South Africa. Through dedicated members, the SACSC is actively involved in the education, research and providing a platform for networking with the main aim to grow and nurture the industry in the country.